Mobdro now plays an important role in live streaming functions. The app offers its users newer functions for streaming, including more TV channels and new updates. It is important to update mobdro app to avail all the new features for non-stop entertainment. Live shows and streaming sports channels have only gotten better with the latest updates, supporting a variety of platforms. Supporting android, ios, as well as windows and PC, everyone can now make use of the features offered by mobdro app. Any user with an internet connection can fulfill their entertainment needs hassle free as with improved version comes more stability. Various basic features like downloading shows to view when going offline works well when you updating Mobdro app. This guide on how to update mobdro app will effectively help you enhance your entertainment experience. What To Take Care Of Before Updating Mobdro? Make sure you have an internet connection with at-least 500KB/S download speed. You can either use data connection or Wi-Fi to update the app according to your convenience. Ensure your device has sufficient amount of charge, (preferably above 30%). Keep sufficient amount of storage space (> 300MB) on the device so as to update without lags. Uninstall the older version of the app and clear cache if possible before uninstalling. Visit the official website of Mobdro and select an option to download the latest version. The version number will be shown and an Apk file will be automatically downloaded to download folder. This step can also be done by downloading from this file computer and later copying to phone for installation. Open the apk file and install as if installing apk’s normally. Installation from unknown sources should be turned on, please check this if you find errors in installing the app. Read more: The 5 Best Channels On Mobdro – What Should You Watch? Open mobdro app and tap on menu option. Select about, which essentially shows what’s new as well as updates and go premium options. Tap on the updates option and it automatically checks if a newer version is available. Give permission to download the latest version apk file. After downloading, a pop-up will appear asking to modify the existing app and install a newer version. Tap install and the latest apk will start to install. Click open after installation to enjoy the latest version of Mobdro. You can check version number by clicking on about option in the menu to see if it’s updated successfully. Also, check out the help feature if you have any doubts regarding newer interface. Most people use the mobdro app on a computer using an emulator such as blue-stacks. You can use method 1 discussed here to update on PC as that method is more convenient on an emulator. The only difference is that you will have to drag your downloaded file to your emulator so as to install the latest version. Please make sure you also have an updated version of emulator as newer app version works better on latest OS. Also read: Is Mobdro Safe and Legal to Download, Install and Use? Live streaming has become much better with this newer version. Music as well as sports and film collections are much improved. You can select the video quality for the video to be played effortlessly. You can easily modify the appearance and interface according to your convenience. Using the premium features, you can watch seamlessly without annoying advertisements in between. Screen view is improved, with wider view for any screen and set timer options for automatically turning off the app. It is that time again where we are glad to announce the new version of Mobdro. As most of you already know, Mobdro is a free Android Application that allows any user to view free Live TV (IPTV) streams from around the world. This includes television content in almost any language! To keep the Mobdro Application up and running smoothly, the developers will issue updates every few months. These updates are issued based on the comments received from users. The most recent Mobdro Application update is Mobdro Version 2.0.38. This update has improved the video engine of the application and has addressed some minor bugs and general improvements to the user experience. 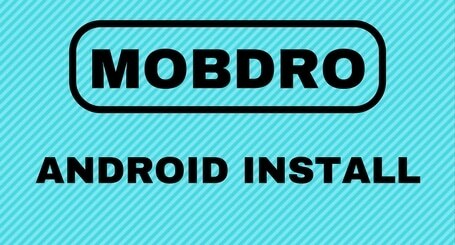 If you have the Mobdro Application already installed don your Android device, you will not have to re-install the application manually. Once the update is available in your region, you will be presented with a notification asking if you would like to download and install the newest version of Mobdro. Simple click on the Install button and you will have the new version of Mobdro in a few short minutes. If you would like to force the new install, feel free to download the newest version of the Mobdro Application by clicking HERE. Once the download has finished, find the location on your Android device and click to install. The Mobdro Version 2.0.38 will over right the out dated version and you will be up and running in no time! In the past few months we have had many people contact us asking why they are receiving a Parse Error when trying to install the Mobdro Live TV application on their Android Devices. In simplest terms the Parse Error will be shown when there is an incompatibility between the Mobdro APK application file and the version of Android you have running on your device. The Mobdro application has been designed to run on Android 4.1 and above. As of early 2017, almost all new Android devices are running on Android 5.1. If you have purchased an Android device within the past 2 years you are most likely running android 4.1. This is good news for you, as you should not experience the Parse Error. In the slim event that you are running an Android operating system below Android 4.0, you will not be able to use the Mobdro application on your device. At this juncture, it will be less expensive to purchase a newer Android device with the most up to date operating system. If you are fairly tech savvy like ourselves, you can also try updating your Android operating system. Although different from device to device, with the proper files, you should be able to update the operating system of your sub Android 4.0 device to that of an Android 4.1 or Android 5.0 OS. We hope that this article was helpful. If you have any questions, please feel free to comment. Alternatively, feel free to check out our YouTube channel for more helpful tips and video tutorials. If you have not downloaded the Mobdro Android App yet, this is the best place to do so. Mobdro is a free Android application that allows users to view live television channels from around the world. Downloading the Mobdro Android App is a very simple process and can be done in less than 4 minutes. The first step is downloading a copy of the Mobdro application file. To download the Mobdro APK file for android devices, click on the Download button at the bottom of this page. Once this is done, find the downloaded Mobdro APK file on your device and click on it to begin the installation process. Once the application has installed it is ready for use. Simply find the Mobdro icon and click to open. Mobdro is a great application that allows you to watch live television channels from around the world. Although the Mobdro application is intended for Android devices, including Android TV Boxes, Android Phones, and Android Tables, you can also download Mobdro for PC (Windows and MacBooks). Please note that the Mobdro Application Download is not available on the Google Play Store or on the Apple Application Store. You can download a free copy of the Mobdro Application by clicking HERE. Because Mobdro is an Android application you will be required to proceed with the below instruction to run it on a PC. The first step is to download an Android Emulator to your devices. The Android Emulator will allow you to run Android APK files and applications on Windows and iOS platforms/ operating systems. The best Android Emulator is called Blue Stacks. To download Blue Stacks click on the link below. http://www.bluestacks.com/#gref Once you have downloaded and installed Blue Stacks, you will want to open the application. From here you will then want to navigate to the file folder in which you downloaded the Mobdro APK file. Since you are now running an Android Emulator you will be able to open Android APK application. Once you have located the Mobdro APK file, simply click on it. A notice advising you of a pending install will appear and you will have to agree to it and click on the “Install” button. The application should install within 1-2 minutes. Once the installation has been complete you will have the option to open it. Alternatively, for future use of the Mobdro Application, you will be able to find its icon under the “My App” or “Programs” tab. 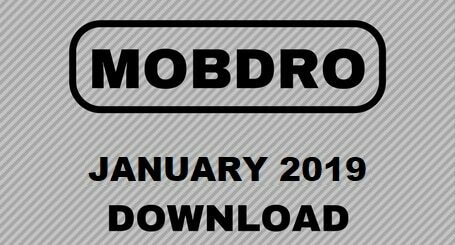 Congratulations, you now have all of the required information to Download Mobdro for PC! Your favorite Mobdro Live TV application has been updated. The newest version of Mobdro available for download is Version 2.0.30. As of February 11, 2017 this is the most up to date version. The main changes in this version include improved audio and video syncing, an added sleep timer, and some minor bug fixes and aesthetic improvements. Mobdro is a FREE Android APK application that allows users to view live tv content from around the world and in multiple languages. Watch your live news, sports, ppv, and tv shows anywhere. To get your free version of the Mobdro App (Apk) Download 2.0.30, please click here or return to the Home Page. If you are looking for another great application that allows users to watch any television show and new movies on demand, please feel free to check out Showbox. Showbox is a free application and can be downloaded at http://www.showboxapks.com. If you are living in the United Kingdom (UK) and are looking for a great application that will allow you to watch live football streams, then you need to download the Mobdro APK application. With Mobdro you are able to watch live streams from around the world including live streams in the United Kingdom. There are hundreds of free live sports channles that will allow users to watch live football (soccer), hockey, golf, cricket, MMA, and more. All you have to do is find your sports channel and click on it to view. Its that easy. Simply download Mobdro to your Android device (Android TV, Android Tables, and Android Phones) and start watching live streams today. Mobdro is a free download for all Android devices. Although there is a paid version of Mobdro, you should never be charged or pay anyone for the standard version. A free version of the Mobdro APK Download can be found by clicking HERE. *** If you are looking for an AMAZING application similar to Netflix but free, you need to check out Showbox! Click HERE to get a free download. Mobdro Premium APK – A Must Download – As you all know Mobdro APK is a free Android application that will allow users to watch and stream live television content from around the world on any Android device. This is a great application with lots of awesome features. When using the free version of Mobdro, there are a few limitations. Those being, you cannot use chromecast, there is no Personal Video Recorder (PVR), and you may experience 30 second advertisements before your desired television programming would commence. Although these are very minor inconveniences, some users would rather not encounter them. To combat the above issues, we recommend users purchase the Mobdro Premium application. For the price it is definitely worth it. The overall cost has changed recently but it still remain at a few dollar per year. So what are the main features of Mobdro Premium? Ad Free: Mobdro Premium is completely ad free and allows you to jump right into any television stream without any delay. This is a huge plus and definitely worth the Mobdro Premium upgrade in itself. Chromecast Support: With Mobdro Premium you have the ability to pair your mobile Android device with any Chromecast unit. Although many people use Mobdro on their Android TV Boxes, for those using the application on a phone or tablet, this is a great feature to have. Download Video / PVR: Unlike the free version of Mobdro, the Mobdro Premium application allows users to use the application as a PVR. Simply find a show that you like, and set the application to record. The stream will then be saved to your device for future viewing. This is a great feature for sports!!! Please note that the above features are only a small portion of what Mobdro Premium has to offer. The Mobdro developers are a great team and are always looking at ways to make their application better and better. How-to Download the Mobdro Premium APK? To get the premium version of Mobdro, it is quite a simple process. First, you will want to download the free version of Mobdro. This can be done by CLICKING HERE. Once the application is installed and open, navigate to the top left corner of the screen and click on the menu tab. Once the menu is open there will be a row named “Go Premium,” click on that. When you click on this button, you will be redirected to a check out page and upon payment you will be granted with the full premium version of Mobdro. Is Mobdro Premium Worth It? If you are a frequent user of the Mobdro application, Mobdro Premium is most definitely worth the small cost. The features provided, and previously discussed will provide you with an enhanced and more enjoyable experience when using the Mobdro application. If you have any questions of comments please feel free to contact us at any time by clicking HERE! With the constant rise in cable bills many people are becoming more fed up with their local television providers. In 2014 a program called Mobdro was released for Android users. Mobdro at the time of release allowed users to watch live television streams from around the world. Since this time any many updates later, Mobdro is still available for anyone with an Android device and continues to provide amazing live television stream and even 24/7 shows/series. Mobdro is a free application, however, a paid version is also available. The paid version of Mobdro allows users to watch live channels in higher definition and also provides you with a PVR option. To download Mobdro (free Version) please click here. This version is the most up to date Mobdro APK and can be installed on any android device, include Android TV Boxes, Android Phones and Tables, and even on your iOS and PC’s with the installation of Bluestacks.